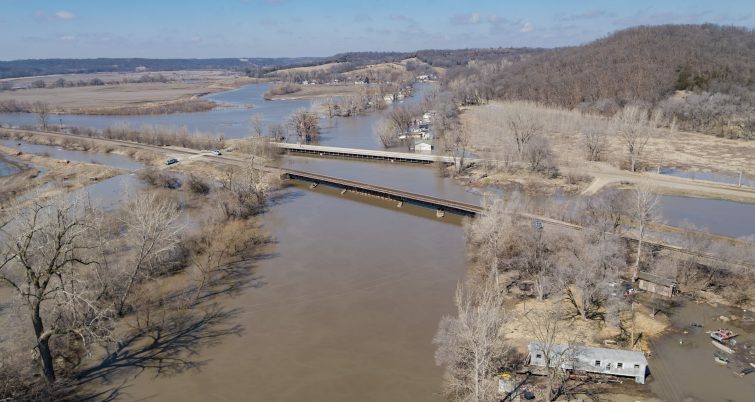 Flood waters near St. Joseph, Missouri, left a railroad bridge fouled with debris. A regulatory change shook up the railroad bridge industry in 2010. Now technology is doing the same thing. That’s when the the Federal Railroad Administration (FRA) published its long-awaited safety standards for railroad bridges in a document known as FRA 237. “It really brought the industry forward into the 20th century,” said Kevin Halpin, the former manager of bridges and structures for CN, and now the owner of KRH Engineering LLC. and use experts (bridge engineers, bridge inspectors and bridge supervisors) for the above. The result has been a surge in bridge work. Driving much of this work are the inspections mandated by FRA 237. 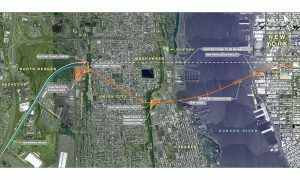 “Once a railroad has a bridge management plan in place and submitted to the FRA, it’s held accountable to that plan,” said Dave Peterson, marketing and program director at the University of Wisconsin-Madison ‘s program for engineering professional development. For example, the Union Pacific says that 95 percent of its bridges are inspected a minimum of twice annually by one of 29 specially-trained two-person bridge inspection teams. UP bridges that are less than 10 years old and have no defects are inspected once annually. “If you say you’re going to inspect a particular bridge twice a year, then you are required to do so,” Peterson. In addition, every railroad needs to have designated bridge engineers, inspectors and supervisors. 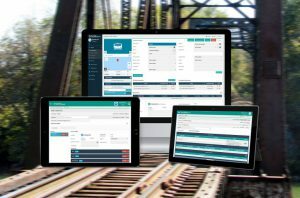 Roughly a third of students are consultants and contractors who see opportunity in providing bridge services, particularly to smaller railroads. Contractors are also finding work as a result of FRA 237’s mandate that railroads know and report bridge capacity. 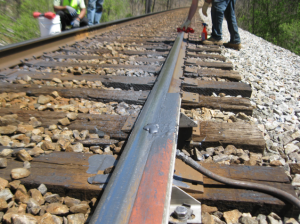 Railroads see that they can “repair and strengthen and that it is much more economical than replacement,” Tweet said. Complicating matters is that it often “all has to be done while the bridge is being used,” he said. It’s unlikely that you could find anyone today who views FRA 237 as a bad idea. Moving the industry into the 20th century made a lot of sense as trains got bigger and heavier. 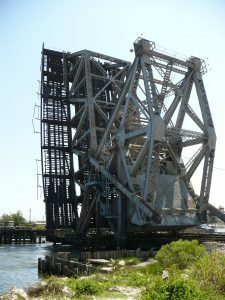 But now, less than a decade after the publication of FRA 237, the people who inspect, maintain and repair railroad bridges are using new forms of technology to move into the 21st century. And this new technology falls into three general categories: see, feel, and touch. Drones, of course, are the best known of the new tech. The use of unmanned aerial vehicles (UAVs) let’s inspectors easily “see” parts of a bridge that are otherwise difficult to view. There are big cost and operational advantages for railroads that use drones. BNSF, for example, has invested heavily in drones, sources say. And no wonder. UAVs can be inexpensive. And there’s no need to schedule large blocks of track time to fly a drone. But the emerging consensus in the bridge community is that drones just aren’t ready for prime time yet. Tweet isn’t completely won over either. “They’re neat. There’s potential there. We utilize drone technology where appropriate,” he said, noting that standard inspection vehicles combined with human expertise is still a powerful combination. Barges hit them. Trucks hit them. It’s a common occurrence. Generally, the impact of such impacts is minimal. “The bridge tends to win every time,” according to Walt Blesser II, PE, president of SENSR. But, on occasion, the bridge loses. And there’s a real danger involved when a significant bridge strike occurs and a railroad doesn’t know about it. The MTA’s Metro-North Railroad, which operates commuter trains in the suburbs on New York City, is a fan of the system. The power of such rapid notification can’t be underestimated. Prior to the development of monitors like those built by SENSR, railroads often just didn’t know a bridge had been stuck. Truck drivers, barge operators and local police often don’t report such incidents. New versions of the bridge monitors that include videos and photos of a strike are expected to ship to customers this month. Such instant knowledge might prove incrediblly valuable to freight railroads that operate in remote areas, Blesser noted. 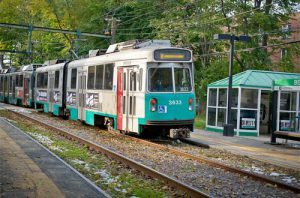 At present, when a railroad becomes aware of a bridge strike, there’s an obligation to hold traffic until safety can be assured. As sensor technology has gained traction, the FRA is said to be open to allowing for remote releasing of trains after a strike. No longer would a railroad be obliged to send someone miles and miles and miles to estimate damage. Not all of what can go wrong with a bridge happens quickly as the result of a strike, said the University of Wisconsin’s Peterson. Sometimes things sneak up on you. That’s why railroad bridge engineers are increasingly using digital photography applications run though touch-pad computers. “An inspector can be out there an iPad and look at pictures taken last year and compare it with something taken now,” Peterson said. Many such programs are connected to other software systems, linking multiple data points and putting them in the hands of inspectors. Metro-North uses a proprietary system built by RailAdvise HNTB, Bonilla said. The system has been so successful that the railroad is expanding it to include other infrastructure. Retaining walls are in the system now. Transmission towers will go in next. “It’s a huge leap forward from when I first got here and everything was on Excel spreadsheets,” Bonilla said. Such leaps forward are likely to continue. But no one seems to think that we are approaching an era of fully automated bridge inspection. At least so far, the 21st century of railroad bridges looks to be a machine-enhanced version of the past. Bonilla, Peterson, Halpin, Blesser and likely everyone else in railroading would tell you the industry needs technology that empowers engineers, not replaces them.